To read guest reviews, check availability and room prices, clik on the hotels name. 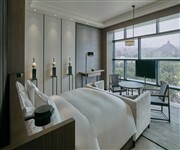 A new upmarket boutique hotel in Beijing, opened mid-April 2019, located in the centre of the tourist area of the city, overlooking the Forbidden City, featuring a spa, indoor pool, fitness centre, two restaurants and a bar. 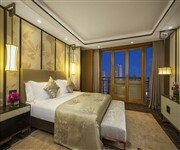 A new luxury hotel in Beijing city centre was opened at the end of January 2019, offering an excellent location just a few minutes away from the Forbidden City. 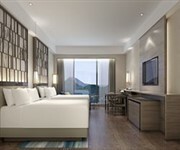 This new 4 Star hotel in Beijing is located in Xihongmen, a short walk away from Xihongmen subway station. A new international brand hotel in Beijing opened in August 2018, situated in the outskirts of the city, this hot spring hotel is located in the Changping Fun Capital Complex. 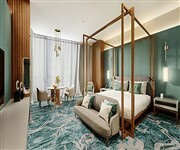 This new luxury hotel in Wangjing (the new CBD of Beijing) opened in mid 2018 offering 348 guestrooms and suites. The property features a spa, indoor heated pool, fitness centre and five on-site food and beverage venues. A new 5 Star hotel in the Dongzhimen neighbourhood opened in late 2017, the property is located just east of the city centre, offering 138, spacious, contemporary designed guestrooms (some with mini kitchenette). This new luxury urban resort hotel opened in September 2017 and is located in the upmarket Embassy District of the city, offering 119 luxurious guestrooms and suites. The property features a luxury spa, swimming pool, gym, on-site restaurant, bar and a ballroom. 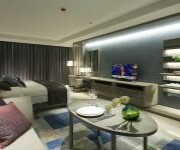 A new serviced apartment hotel in Beijing located in the Chaoyang District of the city. Spacious apartments all come with a fully-equipped kitchen and range from Studio Apartments to one, two and three bedrooms. This new 5 Star hotel in Beijing city centre opened in August 2017 offering 220 luxurious guest rooms and suites, a selection of on-site dining venues, an indoor pool (with a retractable roof), gym and spa. A newly built Beijing hotel in the CBD (central business district) by the Shangri-La group, opened in May 2017, featuring a fitness centre, on-site restaurant and gastropub. This new serviced apartment hotel in Beijing's Chaoyang district opened in November 2016 as part of the Damei Centre and offers a range of 171 luxury serviced accommodations, from Studio Apartments to Three Bedroom Apartments. The property features a fitness centre, restaurant and bar. Guests will also have access to the residents swimming pool and spa. A new luxury hotel in the Sanlitun area of Beijing opened in mid 2016, offering spacious and modern guest rooms and suites. 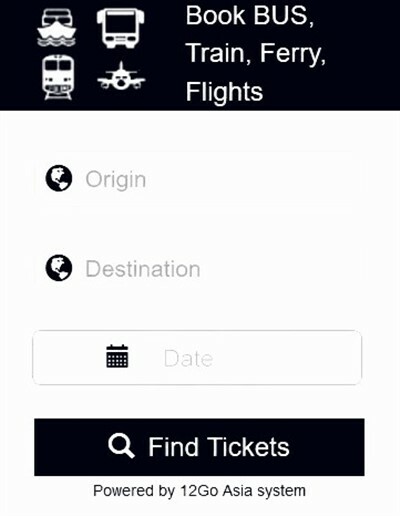 Please visit this page again to find all the best new hotels opening in the coming year.